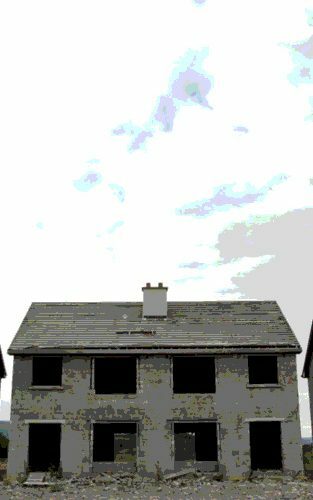 Marx’s theories are the key to understanding the Irish housing crisis. It may seem that the situation we find ourselves in is a uniquely modern one, but nothing could be further from the truth. What has happened is a gradual shift from battles at the “point of production” (where value is created, i.e. where workers might be on an assembly line) to the “point of realisation,” where that value is realised (i.e. in a sales environment). So we are moving to a point where the greater part of struggle is in warehouses fulfilling Amazon orders, on shop floors, or in offices, rather than in factories—our usual understanding of a front-line battle, and the type that communists are most familiar with. The charge is often made against Marx by anti-communists that he didn’t anticipate a “service economy.” Well, you might get that impression if you only read volume 1 of Capital. But volumes 2 and 3 deal with this “point of realisation” struggle, where the working class is more distant, or abstracted, from the coal face. But that doesn’t mean the struggle has ended. One of Marx’s most complicated theories is that of “ground rent.” It deals with how the landlord class must compete with the capitalist class for the spoils extracted from the working class. A capitalist earns their money through ownership of the means of production. The worker creates value, and the capitalist realises that value, paying the worker a certain fraction in the form of wages. The difference between the value realised and wages is the capitalist’s profit. However, a landowner is paid “rent” merely for owning land. The landowner did not create the land, usually acquired the land through inheritance or credit, and spends next to no labour on its upkeep. It is a completely unproductive and parasitic existence. We can see this tension between the two classes in the transnationals that are worried about rising rent costs for their workers in Dublin. They really do not care about the welfare of their workers. The increase in rent increases the wage absolutely necessary to the wage worker, which will decrease the share of profits left in the hands of the capitalist. But the line between capitalist and landowner is not a distinct one. Often the capitalist will own the land and factory their business operates in; or many of the petit-bourgeoisie will own rental properties in the same way that they might have a share portfolio. The developer class are also capitalists who deal directly in land. So what we see most often is an alliance of capitalists and landowners against the working class. This is most often seen in a form of “rent-seeking,” where investors seek above-average returns for unproductive activity. What we have in Ireland at the moment is an economy that is based on rent-seeking. It is based on accountancy practices that reward transnationals for faux-activity here, for tax purposes, but do not bring any productive benefit to Irish society. It is based on holders of “hard money,” including the political class, looking for investment opportunities. These holders of hard money are egged on by banks, which give cheap credit in return for guaranteed returns on future rents—and rent increases. It is also based on asset speculation, mostly through housing appreciation. With the state’s bail-out of banks and the mass procurement by NAMA of failing developers’ gambles, we have created a state that is dependent on increases in property values to try to minimise the cost to the exchequer of the costly bail-outs. These interests are necessarily anti-worker. As we saw the American stock market crash on inflation worries, on the fear that workers’ wage demands would reduce the capitalists’ level of profit and the purchasing power of hard money, the ruling class cannot address the housing issue without coming into conflict with the investor class. The same “hard money” holders who were afraid that their capital accumulation would be hit by pay increases in the United States are afraid that their 7 per cent yearly rent increases would be hit by falling rents or rent caps. Any solution to Ireland’s housing crisis would require a massive shift in society. Public housing for all would provide that shift. “It is not that the solution of the housing question simultaneously solves the social question, but that only by the solution of the social question, that is, by the abolition of the capitalist mode of production, is the solution of the housing question made possible.”—Frederick Engels.